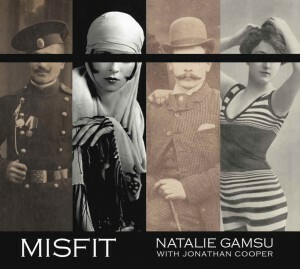 Natalie’s second CD, Misfit including postage to Australia, US, UK, Europe and Africa (excl Asia). For postage into Asian countries, please contact Natalie directly through the Contact Page. A richly diverse and dramatic singer, Natalie Gamsu weaves African, Middle Eastern and contemporary songs, backed by a lush, acoustic, eight-piece band on her cd “WEAVE”.